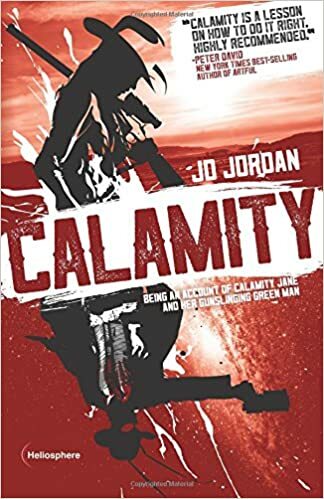 For the second week of Genre July, Austin and I are joined by JD Jordan, author of Calamity, to discuss one of genres that is most near and dear to the hearts of these two geeks: Speculative fiction. Calamity is a sci-fi/western genre mashup origin story of Calamity Jane and her gunslinging green friend. Best read with a Southern Missouri accent in mind, its a fun ride through some of the most fertile story telling ground this side of the Mississippi as Jane comes into her own as one of the most feared outlaws in the Wild Wild West. Get a free sample chapter, reviews, a companion story, book club resources, a guide to Jane’s notorious saddle slang, and more at o-jd.com. Calamity is available anywhere books are sold. You can get it from amazon here.